If you love working on DIY projects or spend a lot of time on Pinterest, you have probably realized by now that you need many different types of tools to carry out various tasks. At one point, you may be compelled to do some grinding, cutting and polishing work. In such cases, it is essential you invest in versatile equipment, such as an angle grinder. 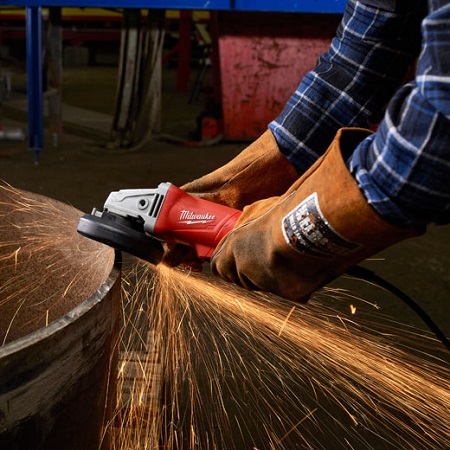 An angle grinder is a versatile tool that you can use for performing various jobs with ease. You can use these grinders for a variety of tasks, such as grinding and sanding, and for construction tasks, such as cutting and shaping stones. However, f﻿﻿﻿inding ﻿﻿t﻿﻿h﻿e ﻿right﻿ ﻿﻿tool can seem like a tedious task since they are so many factors to consider. Angle grinders, also commonly referred as a disc grinder or a side grinder is a handheld power tool that is popularly used for abrasive cutting, polishing and of course, grinding. These tools are typically powered by a petrol engine, electric motor or compressed air. 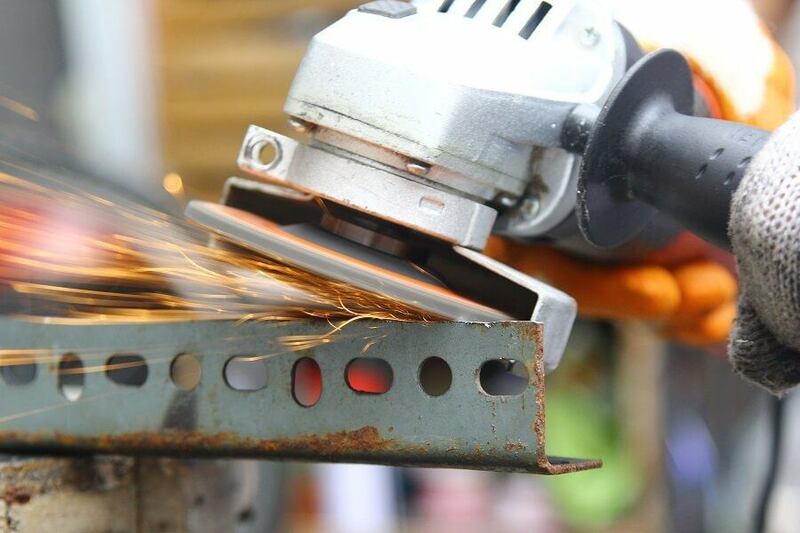 DIY enthusiasts will be able to find angle grinders practically anywhere power tools are sold. While you will also find larger grinders, 4-½ inch and 4-inch ones are perfect for performing most tasks. While beginners can also buy inexpensive angle grinders, it is best you invest in a reputable product for long-term use. A well-built product will help your perform cutting edge and demanding jobs, such as cutting cement or stucco. We suggest you invest in a grinder with a powerful motor that at least draws 5 to 9 amps. The ability to handle a variety of accessories and wheels is what makes angler grinders a versatile tool. An angle grinder comprises a spindle nut and a spindle washer you can install in various configurations. This allows you to accommodate a variety of thinner or thicker wheels. However, it is best you consult the instruction manual before mounting the tool with accessories and wheels. 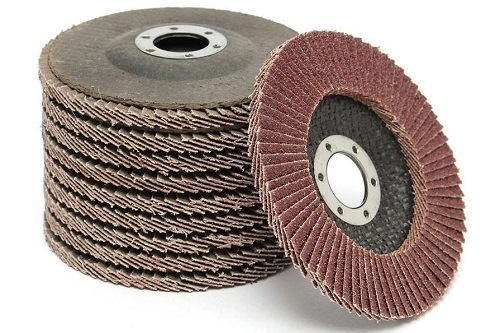 You will find plenty of abrasive wheels for angle grinders at any home center or hardware store. While the wheels may all look the same, they are designed for different tasks. 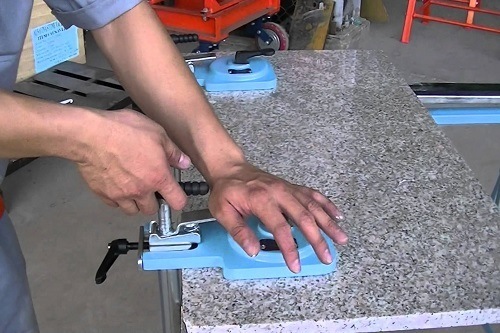 While the name of the tool suggests it only performs a single purpose, angle grinders are commonly used by construction workers when working with metal, making notches and cuts, shaping stones or other rock-based materials. Additionally, apart from these standard functions, angle grinders perform a bunch of other convenient tasks too. Apart from mere polishing and cutting tasks, you can also use angle grinders to sharpen home and garden tools. You can use the tool to sharpen the edges of not only common household implements, such as lawnmower blades, axes and hatchets but also other low-key tools, such as ice scrapers, hoes and shovels. When performing these tasks, ensure the blades are tightly clamped to a worktable before starting the sharpening project. Not following the instructions properly can lead to dangerous outcomes. It is almost impossible to perform tasks such as tuckpointing without the help of a reliable tool like an angle grinder. With the help of a diamond tuckpointing wheel, this power tool can conveniently be used for clearing loose or old mortar without the dangers of damaging the adjacent brick. This reduces the odds of hard labor involved in hammer and chisel use. There are various types of grinders available in a variety of different styles. This includes bench-top grinders that are, as the name indicates, secured to a bench to offer maximum control. Another common type of grinder is the portable kind. These grinders are typically smaller and are much handier compared to their bench-type counterparts. Portable grinders include die grinders and angle grinders. Angle grinders are easier to maneuver and are versatile in nature. These tools can be used for sharpening, cutting or smoothing among various other activities. For single-hand operation, it is best you opt for a die grinder. This type of grinder features smaller blades and works at a higher speed. This makes it ideal for working in small spaces. Angle grinders are available in a variety of weights depending on the model you opt for. While some designs are lightweight, others may be heavier in comparison. Choosing the correct weight will vary from person to person, depending on your personal strength. Sometimes, even a lightweight grinder may feel heavier after you have used it after some time. Invest in a grinder with a weight you are comfortable with to ensure it offers easy operation. Choosing the right weight will help you handle jobs perfectly without any difficulties. Ideally, choose a grinder that is neither too heavy nor too light. It is essential you consider the right size for the grinder before making a purchase. Typically, larger grinders are best suited for handling larger and more difficult jobs. Keep in mind that the size of the grinder is not determined by the overall length of the machine but by the type of disc being used. Larger grinders are able to accommodate larger wheels, making them suitable for big jobs. Most professionals opt for bigger grinders since it makes it easier for them to work on difficult tasks. However, you can also opt for smaller grinders. This type of grinder spins at an alarmingly high speed and thus provides you enough power to cut through polish metal. Use the appropriate size depending on the type of job you opt for. The handle is the part of the machine you will be in most contact with. 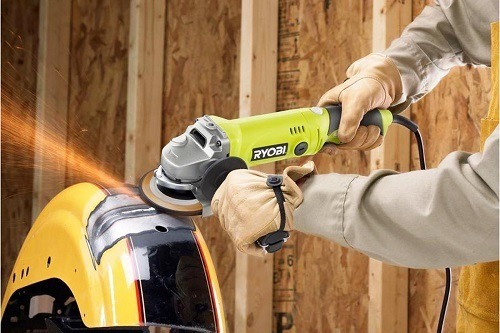 Consider investing in angle grinder with an adjustable side handle. This feature is exceptionally beneficial if multiple people are going to use the machine since it can accommodate both right and left-handed people. The more positions the machine can offer, the more versatile it is likely to be. Some brands also offer grinders that feature an anti-vibration handle. This allows folks to use the grinder for several hours without feeling uncomfortable. An anti-vibration handle also helps reduce fatigue, allowing you to feel more comfortable. Invest in a grinder that features a comfortable handle. This will give you the opportunity to fully control the machine while achieving maneuverability. This will also allow you to carry out the job with minimal strain. Handymen can choose from a variety of disc sizes. As a general rule of thumb, a larger disc equates to a more powerful machine. However, smaller disks allow greater precision and are preferred over larger models when you are performing smaller jobs. Invest in the right disc size depending on the task you will be performing. 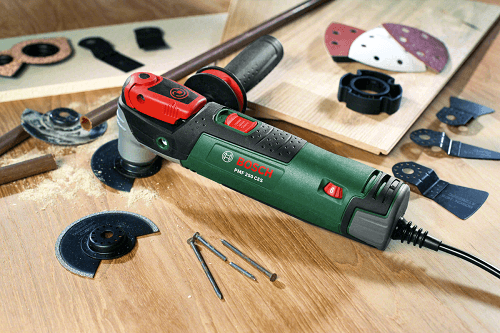 Like other power tools, the wattage, amp and voltage ratings vary depending on the grinder. Most people prefer purchasing a tool with a power ranging from 500 to 2500 watts while the ideal amp rating is 4 to 15, However, this depends on the type of task you are about to perform. If you wish to invest in a grinder for household tasks, you may opt for a device that features a lower rating since you won’t be needing a powerful motor. However, if you intend on performing heavy-duty tasks, opt for a machine that offers sufficient power. Typically, heavy-duty angle grinders offer more power so you can perform different types of projects with ease. The speed is practically among the most important factors you should consider after the disc size. After all, you would want to invest in a machine that works quickly so that you are able to perform your tasks swiftly without facing inconveniences. Generally, hand-help angle grinders feature discs that can operate at 5,000 to 10,000 revolutions per minute. 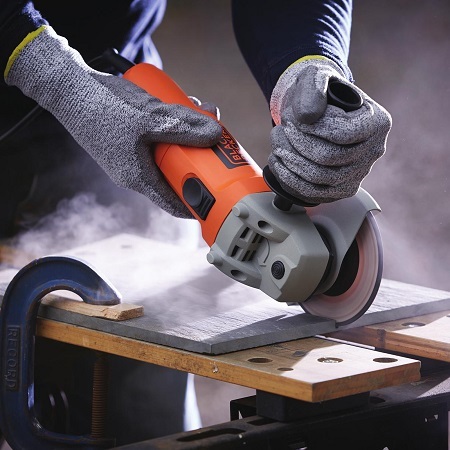 A higher speed allows people to perform a number of sanding, cutting and grinding tasks. However, a powerful device can increase the risk of injuries if the machine is not handled with care. If you are a beginner, ensure you follow the appropriate safety measures to avoid cutting yourself accidentally. It’s to say that the level of comfort is an integral factor when you are purchasing a power tool, especially if you intend on using the device for extended periods of time. Opting for a machine that is uncomfortable to hold may prevent you from performing the task to perfection. Typically, there are two factors that determine the level of comfort of the grinder, i.e. the weight and size. If you will be performing smaller jobs, it is best that you opt for a compact unit so you don’t feel tired after a certain amount of time. Additionally, some grinders may be more comfortable to use because they feature anti-vibration handles that take comfort to whole new level. 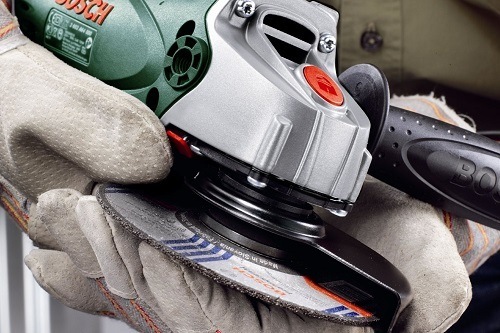 While wheels and accessories might not seem too important, they play a significant role in helping you select the right angle grinder. This is because grinders are versatile tools that allow you to change the discs according to your needs. 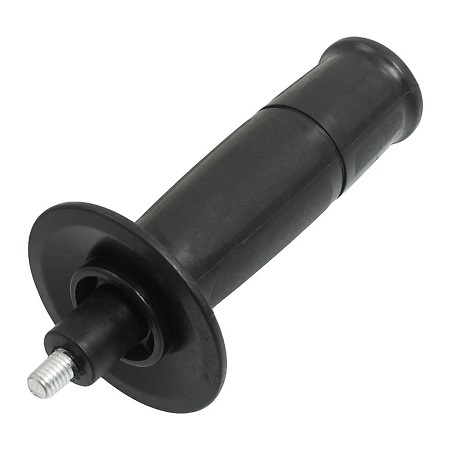 You may also interchange wheels and other accessories depending on your needs. Handymen and DIY enthusiasts can choose from a variety of different types of brush attachment styles and wheels. It is thus important you thoroughly read the usage guides and packaging to ensure you have purchased the right product that will help you perform desired tasks easily. Remember, safety comes first! You obviously don’t want to invest in machine that can lead to injuries. Also, it doesn’t help that grinders pose a higher risk of injuries when compared to other tools you may have in your house. It is essential you familiarize yourself with appropriate safety precautions before using a grinder. For added safety and comfort, it is best you opt for a grinder with additional features, such as an eye shield, that will prevent flying debris from penetrating your eyes. Also, ensure you know how to use the machine properly before actually setting it up. Perhaps you can seek the help of a neighbor or a friend. 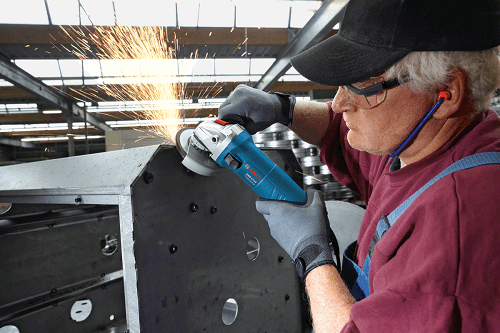 If your angle grinder comes with a guard – use it! It is also worth mentioning that you should store all kinds of power-tools away from children. Do not use these tools in front of younger children as they may be tempted to use them without supervision. Additionally, store the tools in a safe spot away from the reach of children. Older kids must wear appropriate safety gear before using the machine. 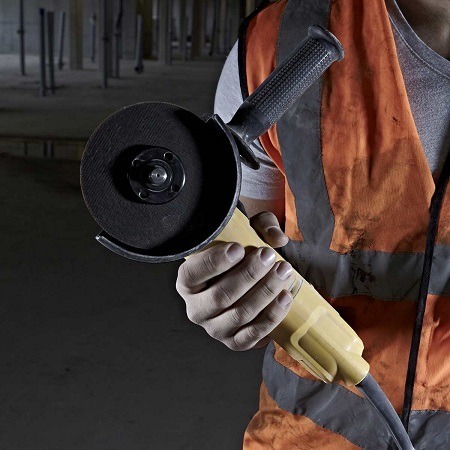 Similar to using other power tools, it is essential you wear safety clothing to protect your lungs, eyes, hand and feet from potential injuries. It is recommended you wear tight fitting clothes so the loose ends do not get pulled or caught in the machine. Eye Protection - Wear safety goggles to protect your eyes from flying sparks and particles. For better protection, consider using a full face shield or visor. This will shield your eyes in case the material shatters. 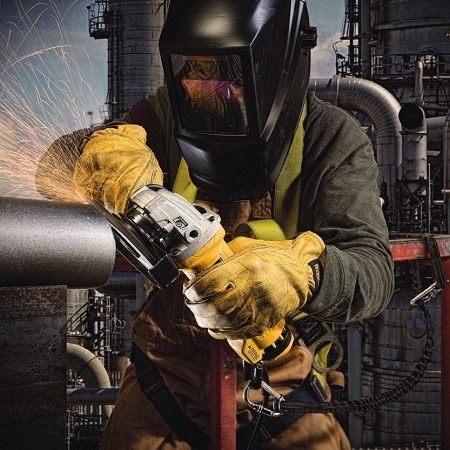 Hand Protection - Gloves offer much needed protection from sparks and small fragment particles that may shoot from the machine. It is this essential you protect your hands from possible wear and tear, such as abrasions, minor cuts and scuffs. Gloves offer your hands protection against sharp metal edges. However, this may depend on the thickness of the material used. Some people prefer not to use gloves since the fabric may be caught in the machine, resulting in an accident. However, this is unlikely to happen if you know how to use the grinder properly and have placed the guard right. If you do intend on wearing gloves, opt for a pair of tight fitting ones and not the baggy kind so you can hold on to the angle grinder securely. Ear Protection - It is essential you wear earplugs or earmuffs to prevent the risk of hearing damage. Footwear - For a better grip, consider wearing steel toecap boots or shoes to reduce the risk of tripping. Consider wearing proper insoles to protect your feet in case you accidentally step on sharp objects, such as glass or nails in the work area. Leather Apron or Overalls - Wearing a leather apron or overalls will protect your clothes from sparks. Watch out for sparks falling on your shirt shirts or pockets. Breathing Protection - Consider wearing a dust mask to protect yourself against toxic fumes and dust particles. A dust mask will properly seal and protect your face. These tiny particles can penetrate your lungs, resulting in dangerous lung disorders and might even lead to cancer. Keep the abovementioned safety guidelines in mind if you want to use an angle grinder in a safe environment. We have put together this section to help you learn how to get the most out of your angle grinder. Follow these simple step-by-step instructions and you will be able to use an angle grinder with maximum efficiency. Before you plug in the power tool, it is essential you mark an outline for the cut. You may use a marker to outline the front and back of the tile. Try to be as accurate as possible since it will result in better outcomes. Don’t forget to firmly attach or clamp the stone/tile to a workbench. Not clamping the stone tile properly can cause it to slip during the process, potentially causing an injury. This can also cause the tile to slip from the place, potentially ruining it. Now, plug in the angle grinder and score around the outline on the front of the tile stone. Your aim should be to score around 1/8th of the way through the sample. Now it is time to flip the tile over and re-clamp it so you can start working with the back portion. Start cutting through the tile. To get a crisp, square corner, extend the cuts past the corners. Voila! First things first, firmly clamp the blades to your workbench. Ensure the direction of the grinder disc is positioned away from you, this will help deflect sparks. You will find an arrow on the grinder that shows which why the blade will spin. The next step is to angle the angle grinder disc with the cutting edge of the blade you are working on. Plug in the grinder and allow the disc to spin at full speed. Be sure to move the disc steadily across the blade, applying minimal pressure. Start moving the grinder from the handle end, bringing it up to the tip of the surface. Be careful not to move the grinder back and forth. Now, start at the bottom and move your way up to the top of the tool. Repeat. 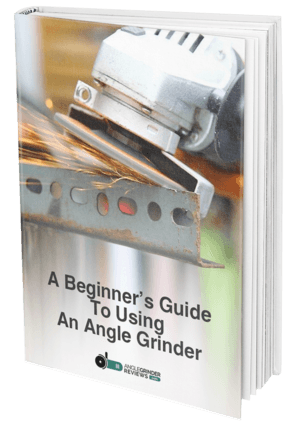 Hopefully, this handy guide has provided you all the information you need regarding angle grinders. The right tool will help you perform a variety of grinding, cutting and polishing jobs with ease. Opt for a versatile machine that features multiple attachments and accessories. This will allow you to perform a variety of jobs with minimal efforts. 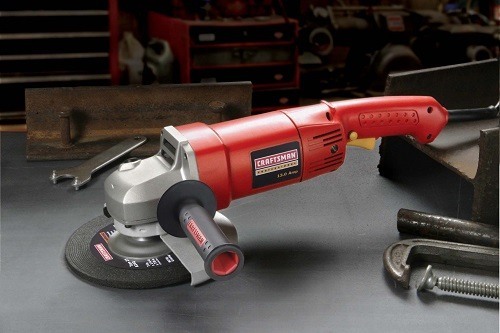 The ideal angle grinder is not only able to sharpen and grind objects efficiently but is also lightweight and not too bulky. Consider checking out customer reviews to ensure you have purchased the right product. Good luck!